Because I am dead tired, and this is easy. Ish. :lol: Washer repairman is due out at 12.....:fingers crossed: Hope he can fix the washer, because I have a PILE of dirty towels that need attention. 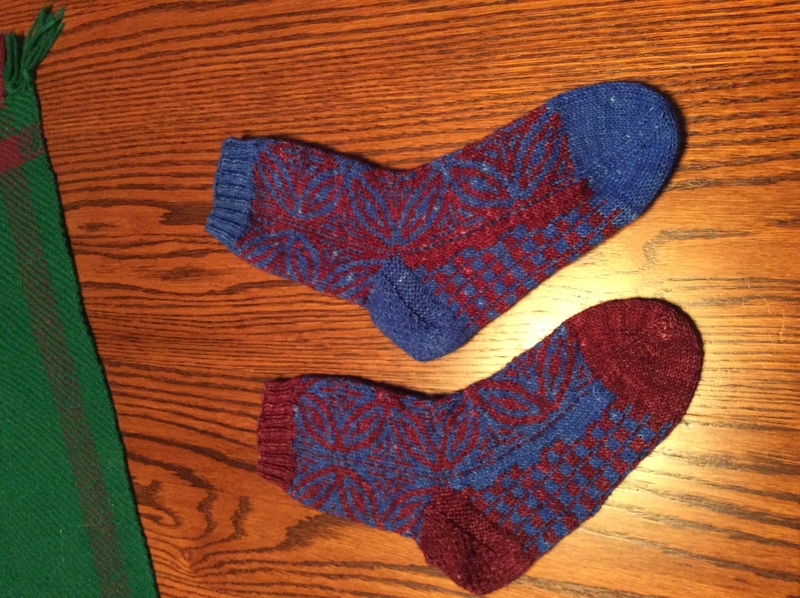 Pattern is Alhambra from Op-Art Socks. 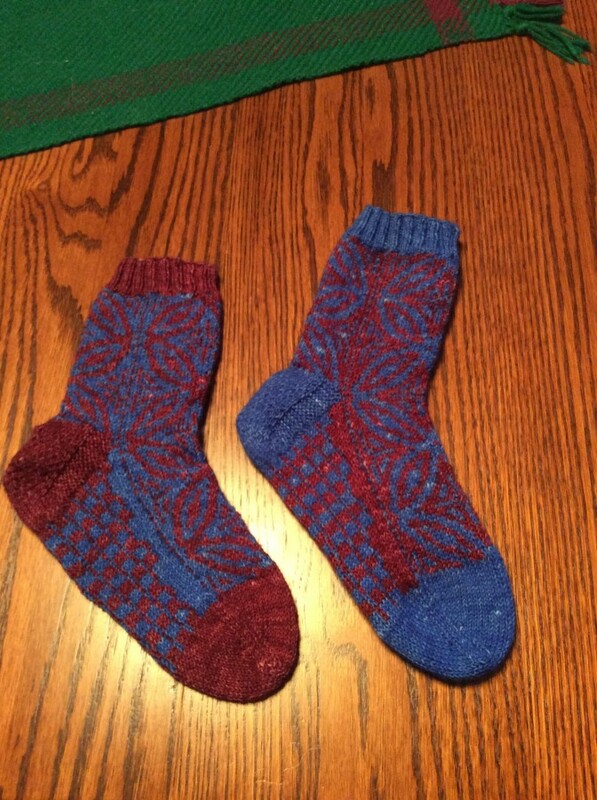 Yarn is hand-dyed from Franklin Natural; the mis-match was intentional. I wanted to see what they'd look like in both color ways....:lol: Not sure I'll do that again - I'm not sure I like the non-matchiness of them. 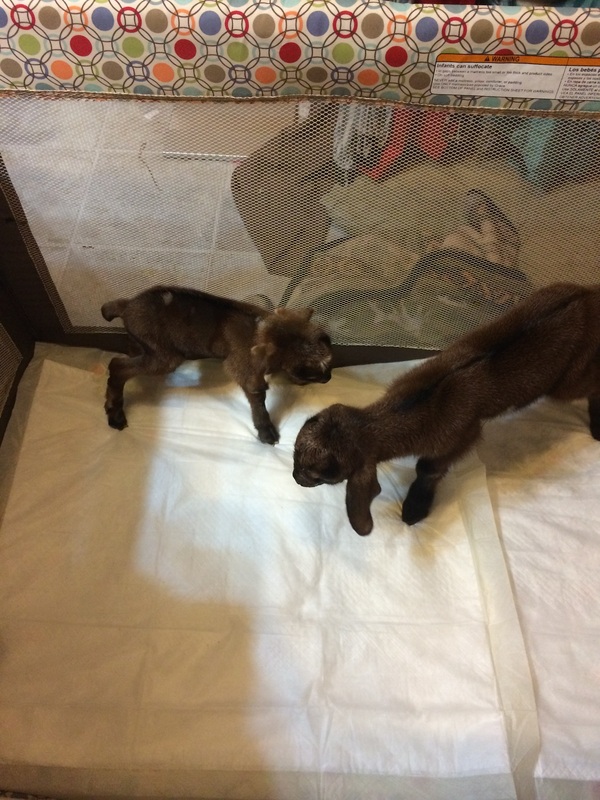 They're residing in the bathroom in a playpen right now. Hopefully they can go out in the barn Sunday - I'm a little worried about Penny - she's SO small! Healthy, but tiny. Gotta run - bottle duty time! Then it's on to the needles! !